The lights had not been up for more than five minutes and already I knew this play was something else, something that was not being advertised, of course. Something dark. I find it hard to produce an effective horror play, and while Girl Found at Idle Muse is not one, it certainly had the potential to be because of its tendency to chill and thrill. Girl Found kept me on the edge of my seat as I tried to decipher what was not said but meant, and what was not felt but forgotten. The small cast of six (seven?) made the experience personal and intimate, like a secret. The set is expertly divided into three parts that mark what I liked to call “Past, Present and Perception,” each has a window frame hanging over its section of the stage. Past and Present clearly occupy the upstage right and center stage respectively, but Perception is a little different. These were surreal moments when Sophie – or anyone really – is talking to the therapist downstage left, trying to get a better grasp on what is happening and what has already happened. The aforementioned window frames hanging from the ceiling gave a reflective feel to each scene, a certain air of things said and unsaid. An air that gave way to more questions, that suggested someone wasn’t telling the whole story. This overarching theme of missing pieces was splashed throughout the plot, along with themes of identity and truth. Reinvention and trust. Catastrophe and safety. When do the bad things end and the person begin? Are the two separate? When do they stop being so? Is there more than one reality? Can people truly reinvent themselves? For me, this play raised more questions than it answered, and despite its’ title, I found this Girl more lost than when she had entered the venue! Nevertheless this show was a thrill from opening to blackout. The humor was meticulously timed and generous enough to satiate the eerie energy this unsaid secret projected into the audience. As the minutes passed I grew eager for the end to come, longing to know more. There was a certain wisdom to each character that makes the viewer want to believe them, but that same wisdom inspires distrust. This show keeps you looking for faults, for loose ends and false truths, you question everyone and trust no one, but simultaneously the production humanizes the cast beautifully. Despite the occasionally clear, occasionally murky faults in each character I grew to accept them and even respect them for being so unapologetically themselves. Girl Found’s message is one of reflection: at some point we must all realize how our actions or inactions affect others and ultimately pay a price. 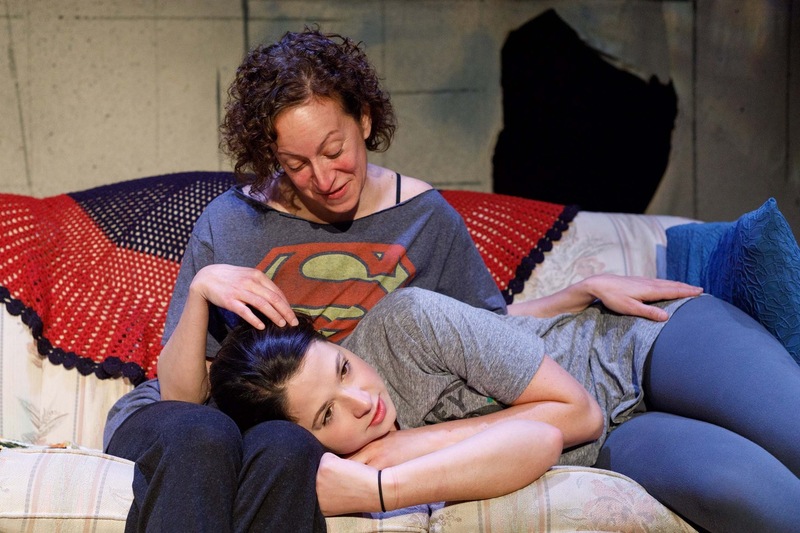 Girl Found runs at Idle Muse Theatre Company through June 10th.